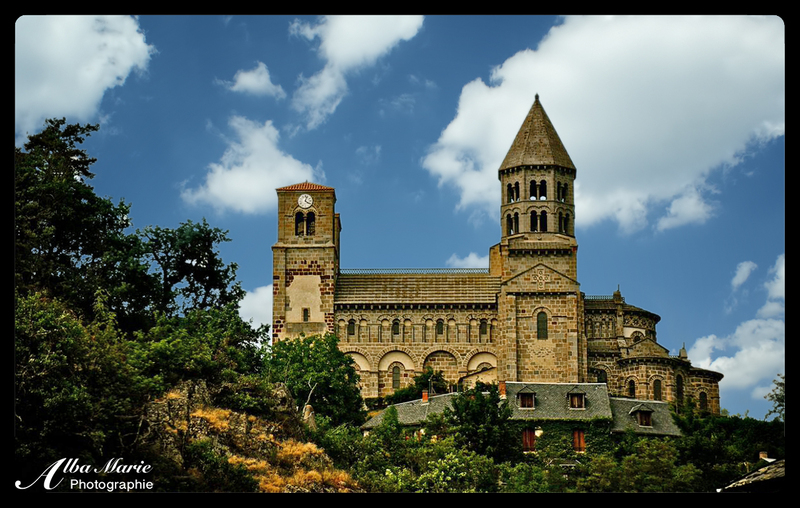 The quiet and ancient region of Auvergne, located in central France, is a bastion of tradition, history and culture. Far from most tourists radar, those who do visit the region generally head to the iconic mountain Puy-de-Dome or perhaps the capitol city, Clermont-Ferrand (especially for rugby fans). Few head deeper into the countryside towards the ultra rural Cantal region. Besse-et-Saint-Anastaise (or Besse, as it’s known locally) is just one of the many spectacular gems that reward those who venture into Auvergne’s hidden corner. 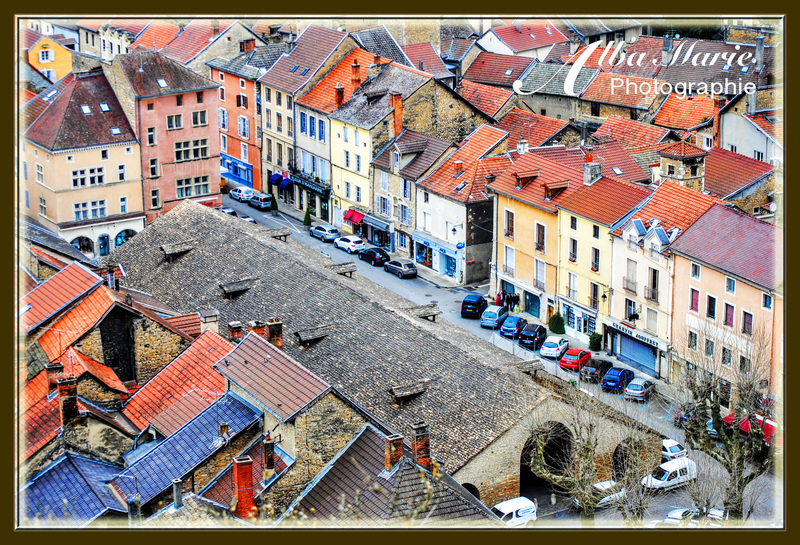 A fairytale village of wandering cobblestone streets and, intricate buildings topped with steep roofs and lined with overflowing flower-boxes, the best way to enjoy Besse is to simply lose yourself in the beautiful medieval streets of the photogenic village. Admire the half-Romanesque, half-Gothic Eglise de Saint-André, the Maison de la Reine Margot, the town hall, and the guard tower at the entrance to this ancient place. 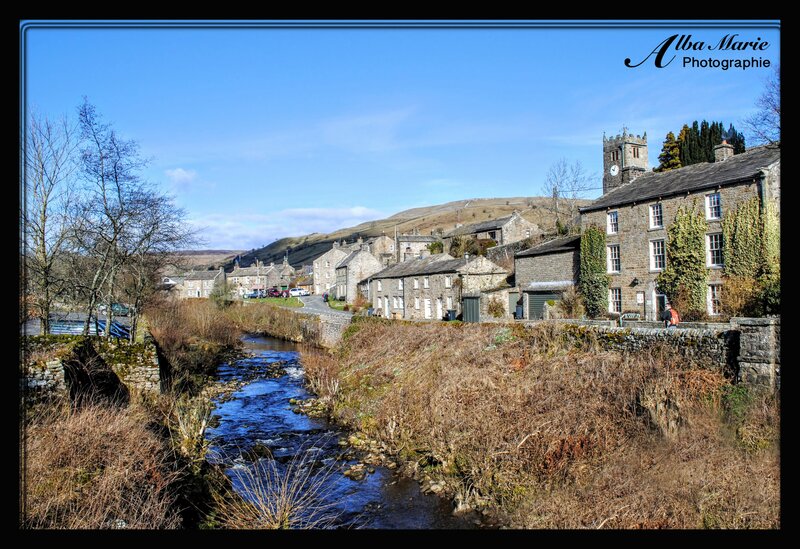 Try various flavours of nougat, a local delicacy, or in summer, be sure to stop for deliciously creamy ice cream at one of the local vendors in the shadows of the ancient stone buildings. In the evenings, relax at one of the village’s lovely terrases for a cold beer as you people-watch the bustling village centre. Besse is a perfect example of medieval charm surrounded by verdant and unexplored landscapes perfect for hiking, biking and paddling – ideal for those looking to relax in a rural environment while visiting a corner of France that has changed little through the years. Pro tip: If you can, time your visit to correspond with one of the brocantes or outdoor flea markets (very popular in rural France) to find unique souvenirs. The nearby, nearly-round Lac Pavin is a very pretty place for a walk. Visiting in summer? Try the famed Tyrollean. Visiting in winter? You’re in luck – Besse is known for its skiing! Quaint, medieval and beautiful, Crémieu is a small town with medieval roots tucked into the southeastern French department of Isère. In fact, each September Crémieu hosts a fascinating celebration called “Les Médiévales,” reenacting what life was like in France during the Middle Ages on a backdrop of Crémieu’s medieval streets. Interestingly, Crémieu’s seal, dating back to the Middle Ages, is in shape of a dolphin (or dauphin) which is where the famous (and delicious) dish called le gratin dauphinois comes from! In the town centre is the ancient 15th century medieval hall where merchants once traded their goods, surrounded by the stunning facades of the medieval houses once built and maintained by the very same merchants. Travel to Crémieu on a Wednesday for Market Day to continue a 500 year old tradition! While you’re here, visit the ruins of various abbeys and convents: Benedictine, Visitandines, Augustin… as well as the castle ruins. Pro Tip: Climb the hill up to the castle for breathtaking views of beautiful rooftop panoramas such as this one, as well as the surrounding Isère countryside. Explore the castle ruins (free), then descend to the village via a narrow moss-covered trail, located down the road and off to the right, once a stream bed and now a hallway of vibrant emeralds. A perfect day trip from Lyon! The Etruscans were an ancient civilisation in central Italy from the 7th century BC until the Romans conquered the powerful civilisation, assimilating it into their ever-growing Roman Empire at the end the 4th century BC. Even today, the Etruscan influence cannot be denied; Eturia’s ancient heartland even lent it’s name to the modern region of Tuscany. In its heyday, Etruria reached as far north as the Po River valley, past Rome along the coast to modern-day Naples (in the Campania region). A merchant community, the Etruscans grew rich and powerful on trade with the northern Celtic communities as well as the ancient Greeks, who influenced much of their culture. Etruscans had a vivid pantheon of gods and used their wealth to fill their tombs – which is where much of our understanding of their culture, history, art and architecture comes from. The village of Fiesole, some 10km from Florence, is both a tranquil escape from the bustle of Florence as well as a time capsule to the ancient Etruscans and Romans. 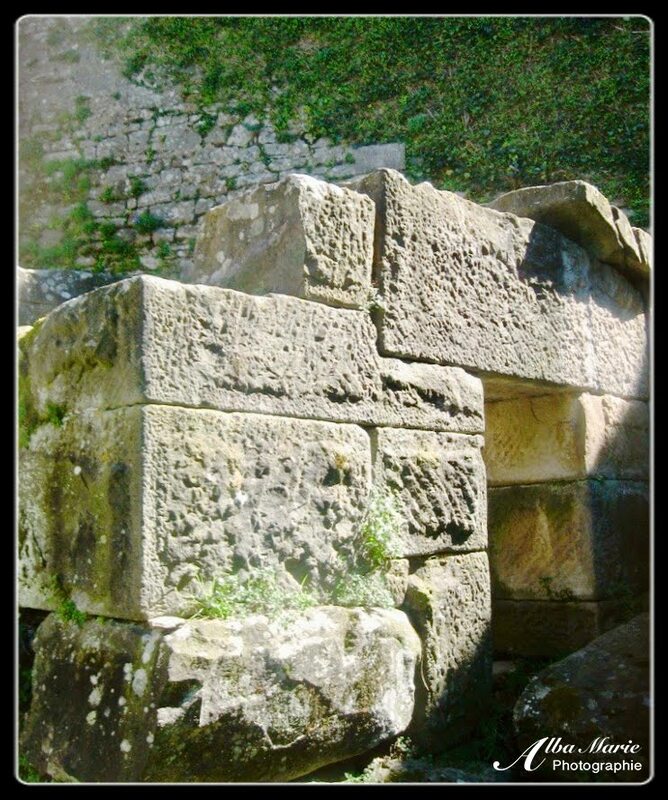 Here, find crumbling Etruscan walls, what remains of the Roman baths built later on, and a Roman amphitheater still used today for summer events. Nearby, there’s even the green hilltop where Leonardo da Vinci once experimented with flight! Once a powerful rival to Florence, Fiesole was founded as an Etruscan town in the 8th century BC until the Romans finally conquered and destroyed it, building their own Roman town on Fiesole’s roots. In the 1500s during the magnificent Italian renaissance, Florentine nobles moved out of Florence and built their splendid villas much like movie stars do today in glamorous SoCal towns. Fiesole’s beauty also inspired writers and artists such as Oscar Wilde and EM Forster, making cameos in their work. Pro tip: Take bus #7 from San Marco Piazza to Fiesole. Or, splurge on the hop-on-hop-off bus to see even more of Florence and its region. One of France’s Most Beautiful Villages and one of the most charming towns one can expect to stumble onto in Europe, the tiny, spiral-shaped village lost in the middle of France is reminiscent of another era. 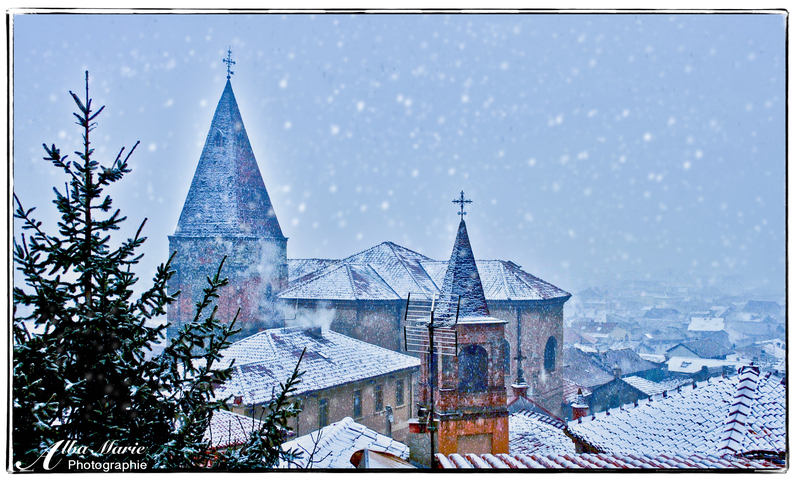 The fortified town was built in the Middle Ages, and though Pérouges has no castle, it does feature a fortified church (with extra-thick walls), as well as an enticing maze of weaving streets, all eventually ending at the Place de Tilleul. 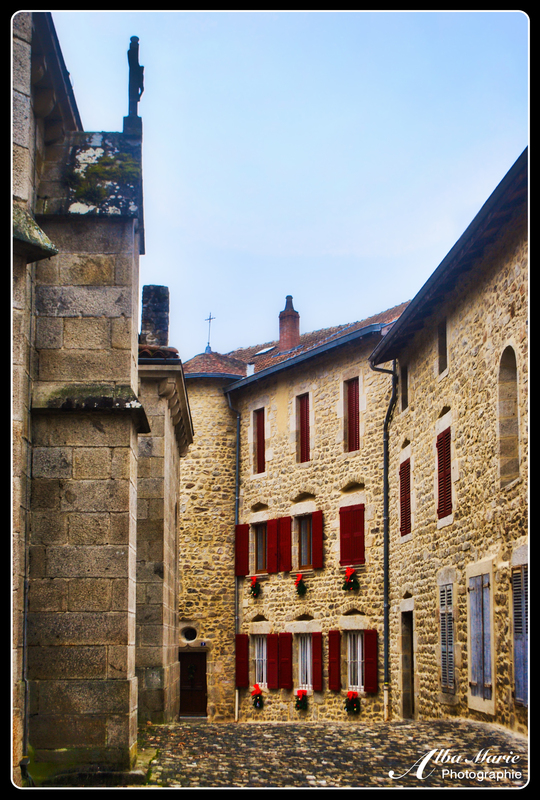 Today the quiet centre of this tiny village and site of a delicious local restaurant, Place de Tilleul was one the thriving marketplace of bustling Pérouges during medieval times. Crumbling into dust until recent years, the village has seen a seen an upturn in tourism, saving the cobblestoned marvel from becoming a ghost town like so many other quaint but behind-the-times places across Europe. 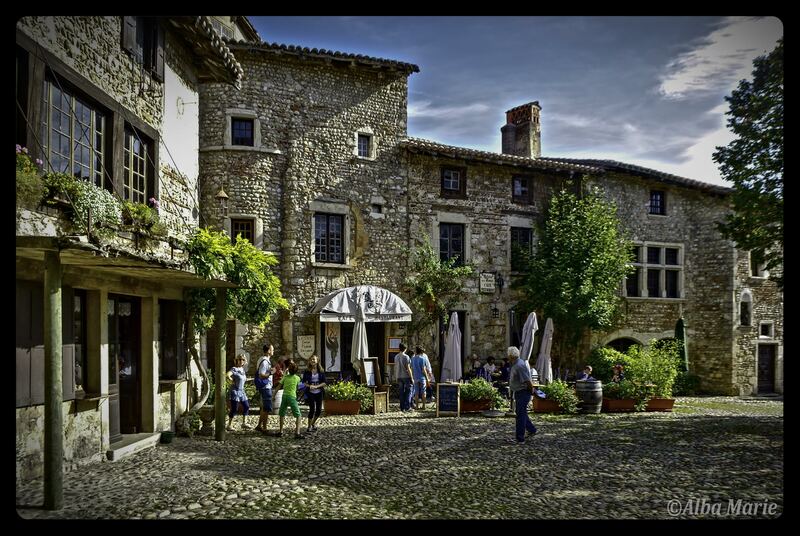 Here in Pérouges and its romantic Place de Tilleul, one can briefly capture a glimpse into another world, a peek into another era, before slipping out through the village gates and back towards the main road that leads to nearby town Meximieux and the 21st century. Pérouges is most quickly approached on foot via the road Route de Pérouges from Meximieux but a far more picturesque way to approach the village is via the forest track along Aubepin Pond. The tiny French village of Balazuc snuggled deep within the timeless county of Ardèche is a place you go to lose yourself in another era, another way of life. Sun kissed hills are woven with ancient villages, a patchwork of medieval architecture fused seamlessly with the brown earth and golden fields of southern France. Balazuc is one of such places. A veritable labyrinth built of golden stone, the village’s narrow alleys wind up and down, dipping half-underground, through other buildings, around and through the hills in a completely random and at times mysterious manner. 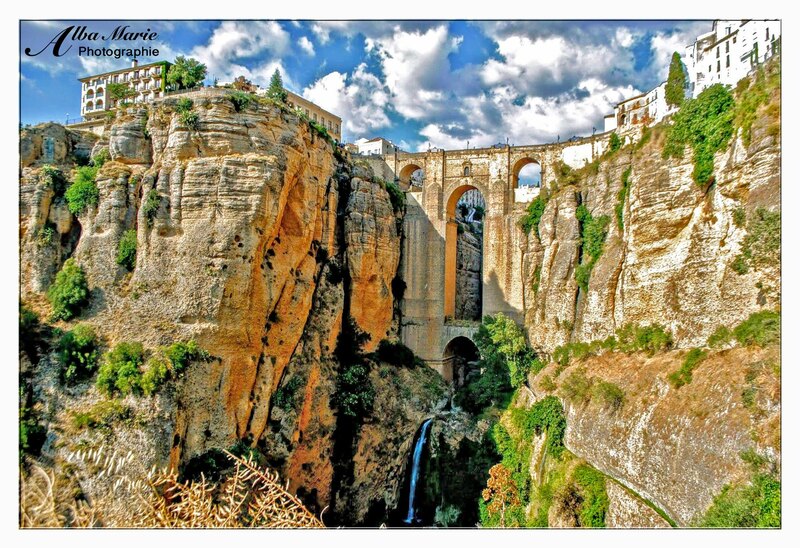 Hole-in-the-wall cafes dot the facades, and a hilltop castle and church duo seem to be trying to outdo one another. To access the steep hilltop village, one must first cross a surprisingly high bridge over the Ardèche River – not a bad place for a quick dip! 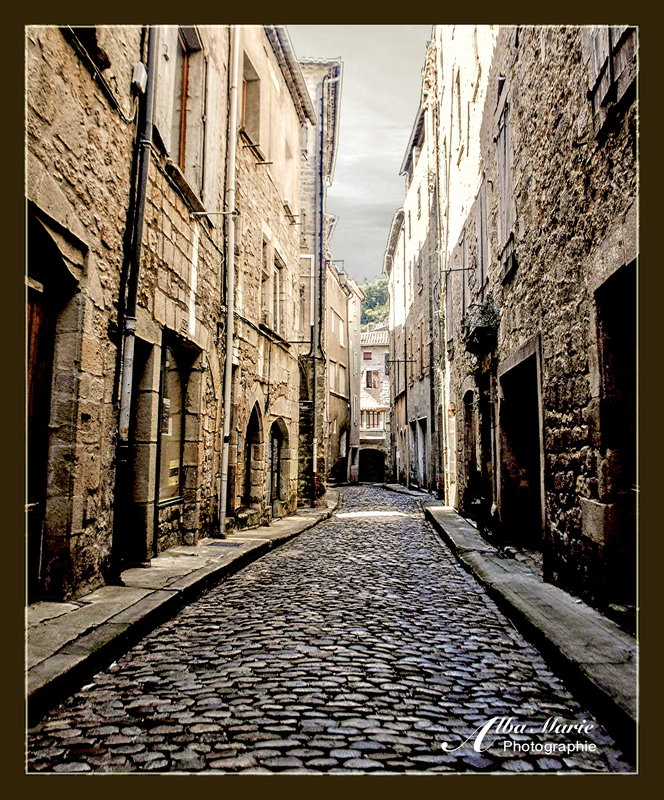 And just a stone’s throw away is the equally-beautiful and heart-throbbingly medieval village of Largentière as well as the ever-impressive Gorges d’Ardeche. Get ready for a coup de foudre – French for love at first sight! Autumn colours light up the palate of Kazimierz Dolny’s castle gardens. Kazimierz Dolny is a small, quirky village in eastern Poland within easy day trip striking distance of Warsaw, Poland’s capital. Though a short-lived season, Poland is vivid in autumn – September being a spectacular month for a visit, as the entire month seems to follow the rules of the Golden Hour usually attributed only to brief moments at sunrise or sunset. After weaving Kazimierz’s bustling medieval streets, head up the hill where you will pass the zamek – the lower castle – before climbing the path to the 19-meter tower, or the upper zamek. The view from here over the castle gardens, town and Wisla River (Vistula River in English) is simply splendid. Before the castle was built, the hilltop housed a beacon to warn surrounding settlements of impending attacks. Once upon a time, there was even a drawbridge, a moat, and five floors. Though you can’t climb more than one storey up now, the castle, gardens and tower are all a mystical and magical place made even better when doused in the golden autumn sunlight. The Middle Ages left their architectural mark well and good on France. 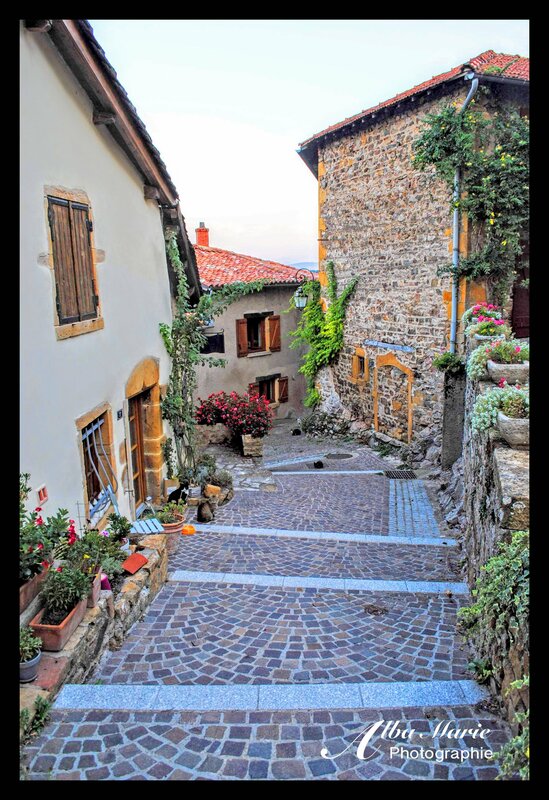 One of the many examples is the charming village of Olliergues, located in the rural and forgotten region of Auvergne, in the very centre of France. Surrounded by a crown of volcanoes, Olliergues is snuggled into the rolling green countryside, far from the ritz and glam of the modern world. Here, lives are lived much as they’ve always been. Villagers get their bread from the local boulangerie every morning, they drink their coffees in the cafes, they work in the fields or the little commerces. Children are walked to school. A dog barks, a cat streaks by. Here, tucked away in one of the most rural counties in France – and one of the most rural parts of that county – life is quieter, calmer. It is a good place to go to lose yourself. 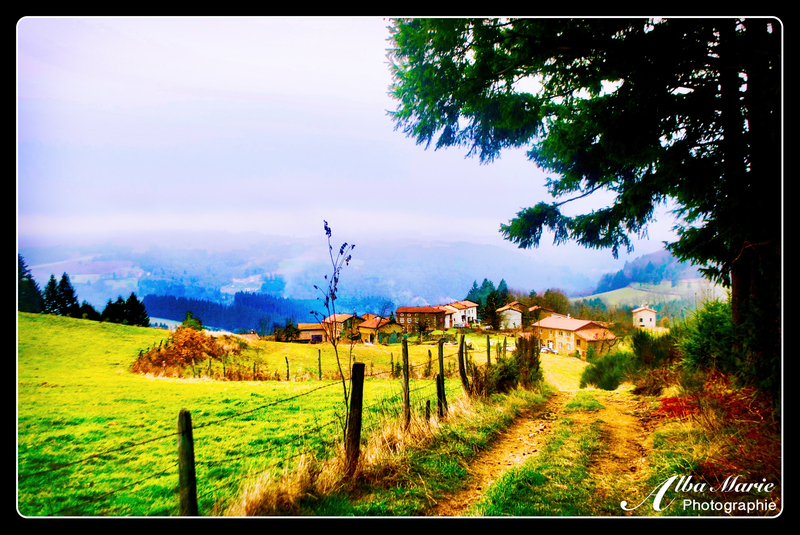 In the heart of the Livradois Forez Regional Natural Park, a huge chunk of protected woodland, farmland, and tiny communes (roughly 150), Olliergues is a good base for hiking, biking and other outdoors sports. Though the village has few eateries, there are plenty of places in the nearby (but far less beautiful!) town of Courpière – one of the best for tasty, local mountain cuisine is a little family-owned place, La Cave a Juliette. While in Auvergne, check out the beautiful Chateau de la Batisse, the more rugged Chateau de Murol, or the village known for its famous cheese, St Nectaire. 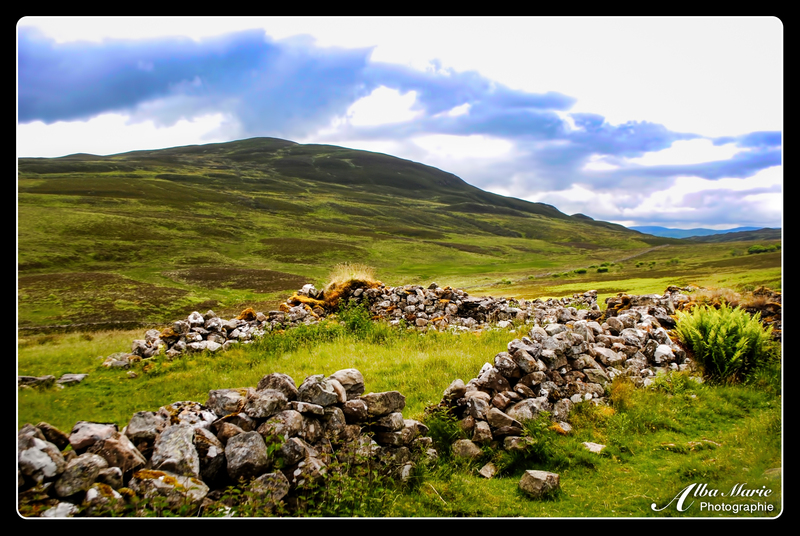 Multiple reasons could account for any of the dozens of abandoned settlements in Scotland’s Highlands. Forced evictions, changing economies, harsh living conditions, changes in animal behaviour or soil richness, new weather patterns, or the industrial revolution are but a few. Reasons for this particular settlement’s abandonment are unknown. The trail to Mt Schiehallion (the ‘Fairy Hill of the Caledonians’) which overlooks Loch Rannoch snakes its way up and past this little village – today little more than a picturesque ruin. 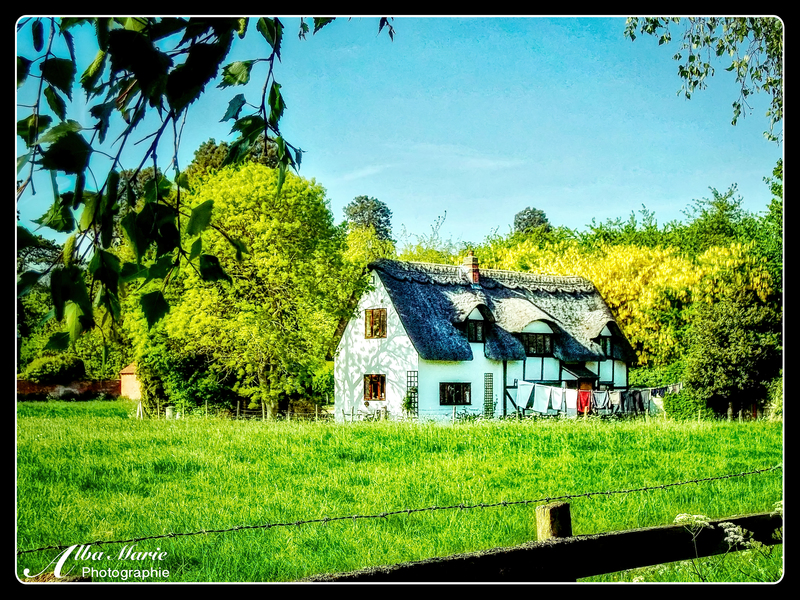 Though most people amble by it with little more than a quick photo, it serves one to stop and give it a little respect – those little ruins were once someone’s house, and one day, your house may be little more than a pile of rocks. Though sad, such is the way of things. Even buildings have a circle of life. This nameless place is barely a place at all. A collection of less than 10 buildings, this hamlet is snuggled deep within the majestic Valley of Valnontey on the French-Italian border. From October to March, the hamlet is buried under heaps of snow, and closed in on either side by the steep valley walls. There is no running water here, nor is there electricity. In winter, the only access is by cross country skiing (the area is beloved for the sport) or snow shoe. The village of Valmontey is the closest civilisation, and it’s still a couple of kilometres away – at least 30 minutes by snowshoe. And Valmontey is by no means large: it has a couple of restaurants, a hotel or two, a old church, and a shop – all very weather-dependant. Aosta, for which the greater Aosta Valley is named, is further 60 minutes by car down the narrow mountain track, if the weather is good. If the weather isn’t good, get comfortable, because you aren’y going anywhere. 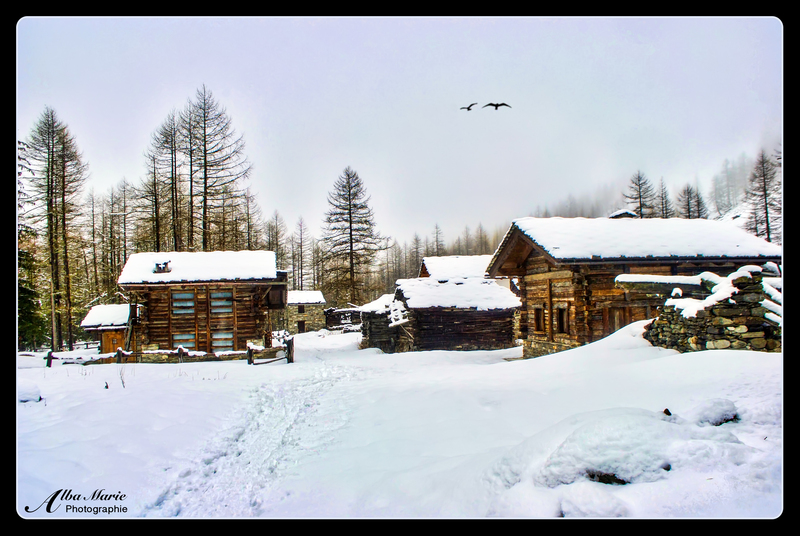 The villages and hamlets of Gran Paradiso are the kind of place people go to get off the beaten track. Hard to access, remote, rustic, and removed from civilisation, the people of this valley live side by side with mother nature. Deep in the Gran Paradiso National Park, the Valley of Valmontey is alive with wildlife – birds, foxes and most famously, the ibex – a deer-like animal topped with corkscrew antlers. The air is clean and pure. The modern world feels very far away. 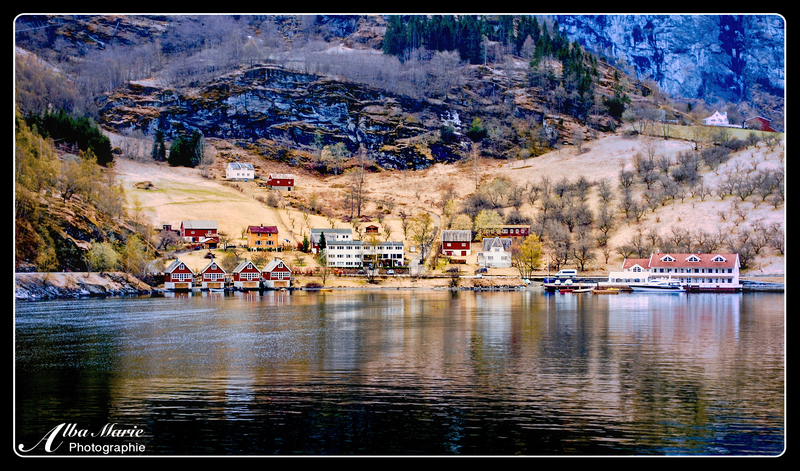 But amongst the charming wooden chalets – many built by hand – it doesn’t take long to feel right at home. 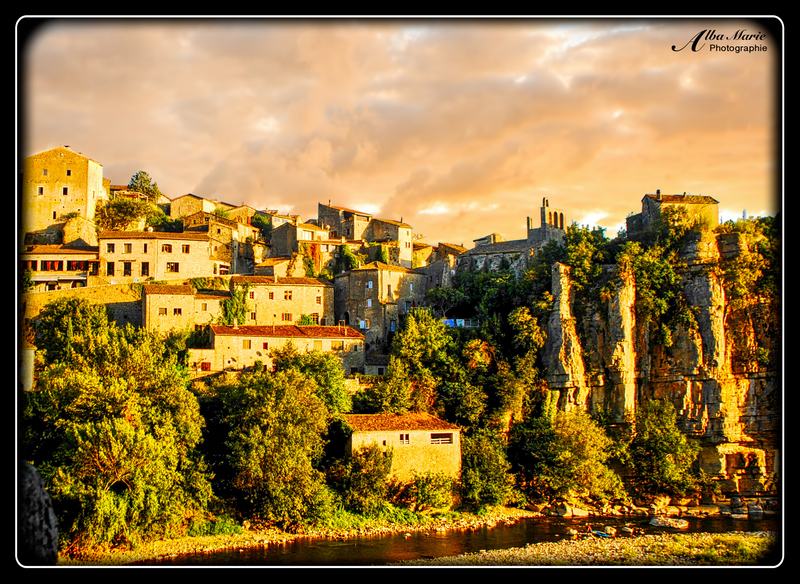 Sunset cascades over the little medieval village tucked into the heart of the Gorges de l’Ardèche, nicknamed by the locals the ‘European Grand Canyon.’ The 30-km long canyon runs from the tourist hotspot Vallon-Pont-d’Arc to the less-well-known Saint-Martin-d’Ardèche. The village of Balazuc is listed on the ‘Most Beautiful Villages in France‘ (along with Pérouges and St Guilhiem-le-Désert) – as it should be. 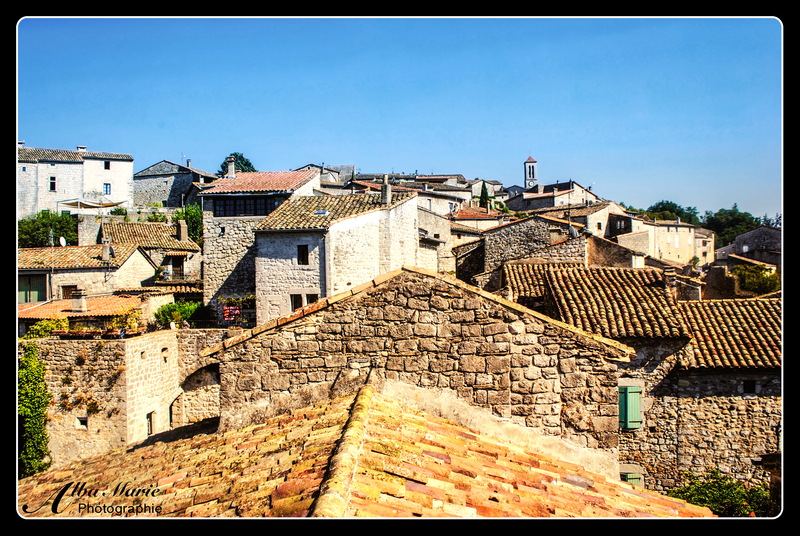 The village hugs the edge of the steep hill as narrow medieval alleyways weave and climb the hill’s slope from the shores of Ardèche River up to Balazuc’s castle. 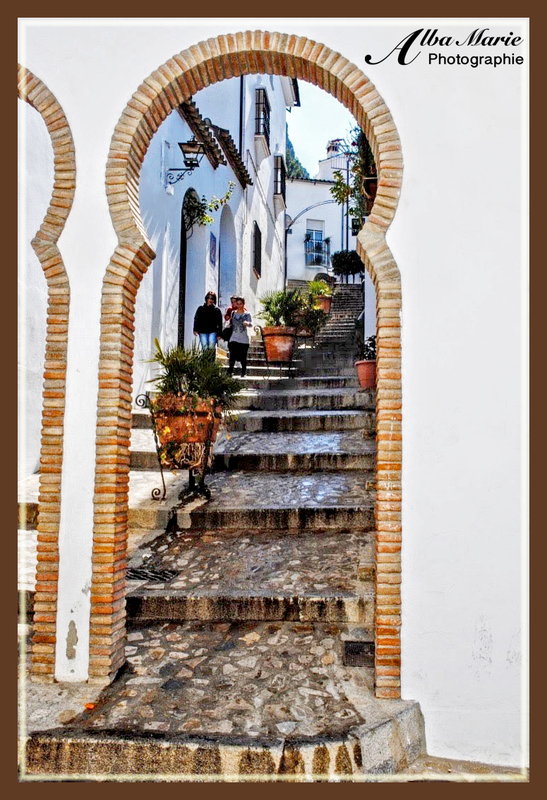 Cobblestone alleys meander through ancient dwellings, passing through echoing tunnels, climbing up uneven staircases. Well-worn steps lead up to the top of some of Balazuc’s buildings, affording breathtaking views over the clay roofs, the Ardèche River, and the Gorges themselves. In Balazuc, it’s easy to peel away the centuries to another era – all the while enjoying the creature comforts of our own! Rusted rims, broken headlights, faded paint, cracked leather. The sun bathes the ancient automobile (for no other word can describe this masterpiece) in warm, southern light. The backdrop of ancient stone buildings hundreds of years old provides an appropriate setting for such a magnificent historical treasure trove such as this vintage auto. 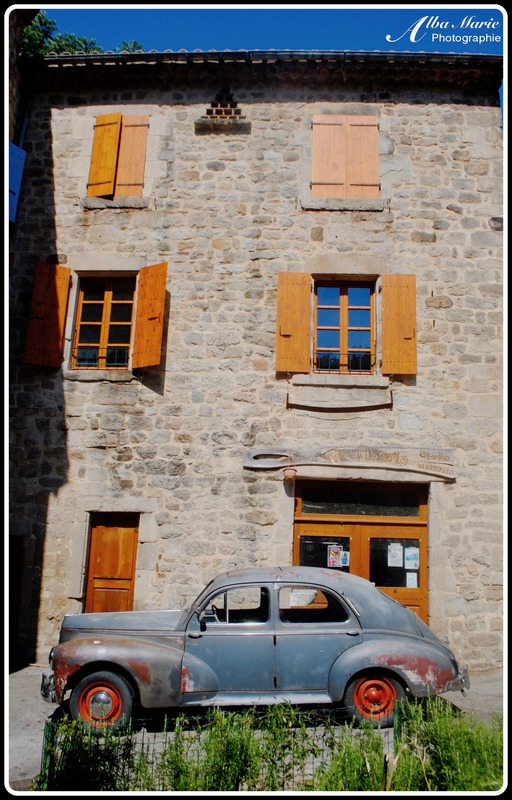 Largentière, a medieval town in the heart of the French region of Ardèche, seems as if it was meant for this car. A stone labyrinth since the 13th century, Largentière was once a thriving industrial towns thanks to mining of silver and lead (hence its name, ‘l’argent’ means ‘silver’ in French) and its prime location along the rails, but the mining has since died down, leading to the closure of its train station. 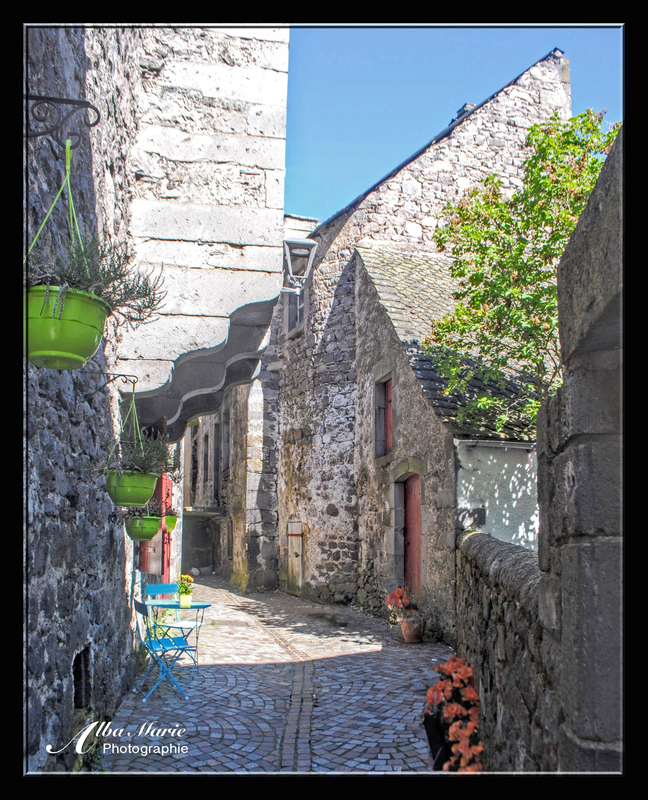 Largentière is a veritable labyrinth of narrow stone streets, overhanging arches, and cobbled alleyways. Artsy and hipster, the village boasts an organic crêpes restaurant, La Rue Crêpanous; a quirky thrift shop called Recycl’arts; Le Goupil, an artisanal hipster beer bar; and a bookshop piled floor to ceiling, Le Voyageur d’Écriture, or ‘the traveller of writing,’ among others. It is a window to another time, or to several other times. 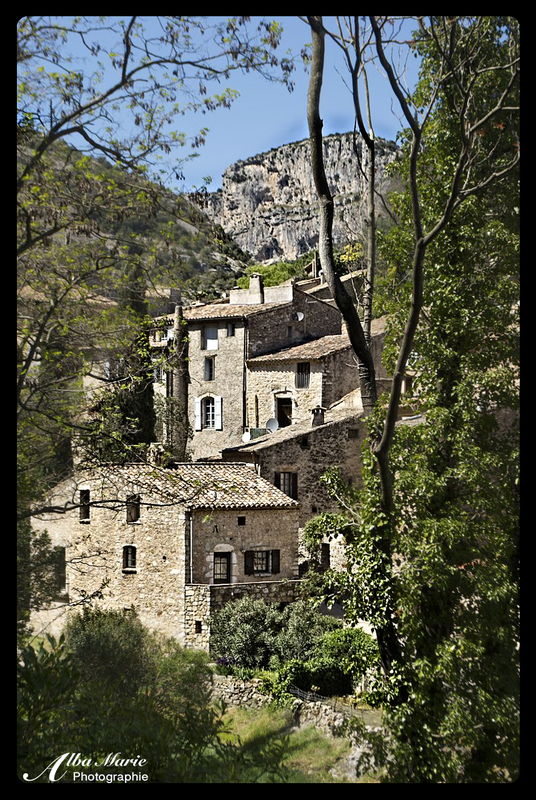 Lost in the Ligne Valley in the sunburnt southern landscapes of the south of France, buried in the magnificent Gorges d’Ardèche, this paradisal little village reminds us that what has past is not necessarily lost. Casually labeled as one of “The Most Beautiful Villages in France,” St. Guilheim is a snug village in the south of France, located within reasonable distance from Montpelier. Don’t be fooled by its name; this is no desert! The name is leftover from another time, when the land was desert-like. And “Guilhem” is the local patois way of saying the name “Guillaume” (“William” in English). With cobbled streets underfoot and the tiled roofs overhead, voices echo off the tiny squares, footsteps echo off the narrow streets. Rock walls are crumbling under the bald mountain tops looming just behind as you wander the alleys clutching a melting ice cream. Though not very large, St Guilhem certainly is one of the most beautiful places in an already beautiful county! If you like cheese, you may have a stronger grasp on rural French geography than you realised. This is because in France, cheeses are often named for the villages where they originate, and remain very region-specific for centuries, shaping both local culture and local pride. 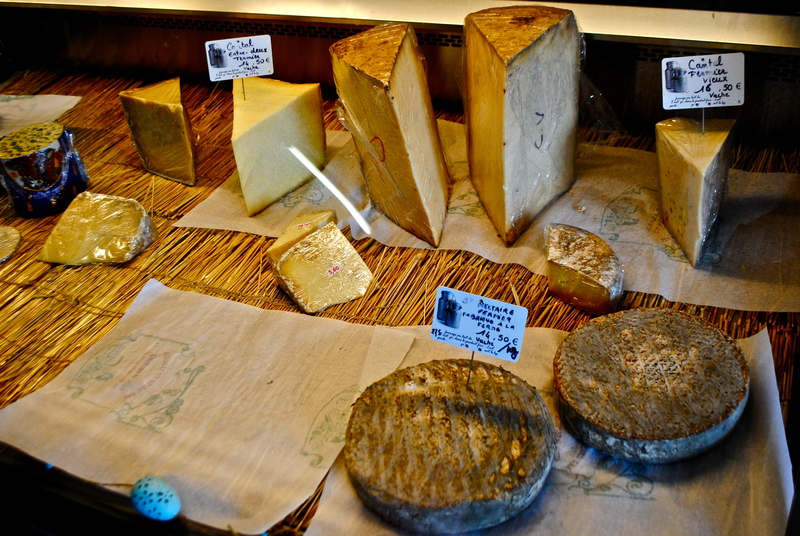 Roquefort, for example, comes from…wait for it…Roquefort, France! And the cheese Saint-Nectaire comes from the village of the same name–also the same name as the village church, pictured above. Located in central France, in the rural department of Auvergne (where Michelin comes from! ), the village itself doesn’t seem that special at first glance. But no one can pass through without stopping to buy Saint-Nectaire cheese from the source! However, it wasn’t always so tranquil here. 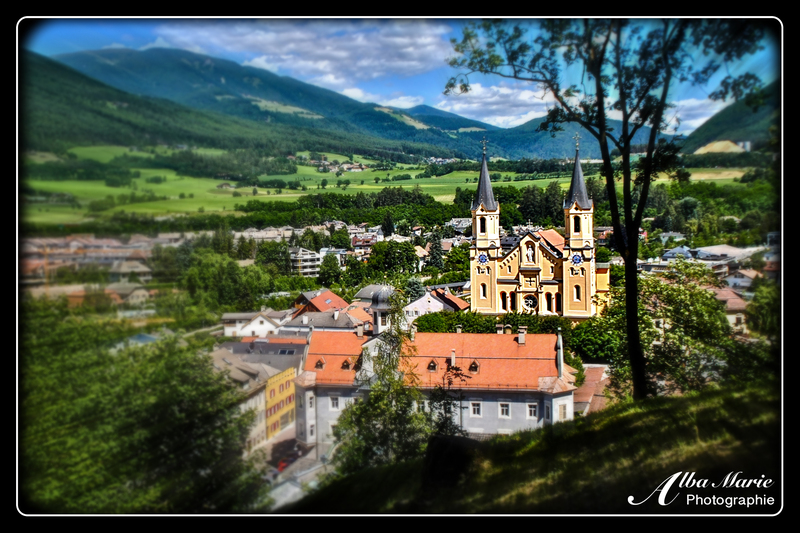 This quiet village was once a thriving spa town in the 19th and early 20th century, and as a result, there are still several once-grand hotels from the 19th century at the base of the beautiful church. Today, thermal spa towns–including Saint-Nectaire–have lost some of their popularity (except in Scandinavia and places such as Budapest). Yet, there’s something enthralling about glancing into the past at these once top-of-the-line resorts that makes one long for the old days of steam engine travel: 2-month-long trips, grand hotels, dressing for dinner, days spent visiting thermal baths or preparing for balls. Just make sure you try the cheese. A stone’s throw away from Aberdeen, the quaint seaside village of Stonehaven clings to the North Sea coastline. Aside from the usual charming nature of being in an adorable village along the rugged, Scottish coastline with waves lapping at your feet, Stonehaven is also home to some of the best fish and chips in the UK. Indeed, The Bay won awards in 2012 & 2013 for best takeaway fish and chips, and it is worth the short wait and the slightly high prices for the delicious battered fresh fish. Stonehaven is also the home of the “deep fried Mars Bar,” developed in 1995 by the Haven Chip Bar (now called The Carron). And despite immediately feeling the need to run a marathon afterwards in order to counterbalance the unhealthiness of the snack, the taste is pretty darn delicious! Not only is Stonehaven a good place to come to eat, it is also relaxing and beautiful, especially so after hiking up to the ridge just above the town, watching the light play off the golden-tinted stones and rooftops. While most come here in order to access the equally-beautiful Dunnottar Castle down the road, don’t miss out on the hidden gem that is Stonehaven itself.